Welcome back to Barcelona! Last time out, amongst other things, we spent a truckload of cash on the squad in an effort to make it competitive. It worked, and the wins piled up. I’ll be cramming the whole of the second half of the season into this post. It will feature a trying transfer window, a fraught February and TWO Rogers. You lucky people. I’ll need to touch on the tactics again, before the run-in proper starts, and then I’ll finish with a season review. After giving a brief report on how things stood last time out, I’ll first get stuck in to a very busy summer of transfers, followed up with a quick reminder of my first attempt at a tactical set-up. I’m going to touch upon some training talk, with a focus on player traits, before cracking on with the season proper. Yes, I’ve moved clubs again. With the combination of last season being an absolute walkover at AC Milan, and my personal Football Manager history of never managing to get the Barcelona job, when it became I available I had to apply. And it turns out my record and interview were enough to seal the deal. 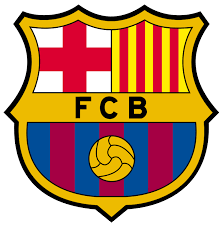 Today’s post will be a quick intro on where Barcelona stand in the save, the tactics and first team that I’ve settled upon, and I’ll touch on a few aims. Welcome back to Milan! We’re having one hell of a season. I haven’t seen a red circle in ages. Our defensive strength has been joined by an impressively lethal attack, and we have a chance to achieve a special season here. We remain in all three competitions, and the Serie A title is essentially sealed. Welcome back to AC Milan! The season has begun brilliantly, with our new signings settling in quickly, and we haven’t so much as drawn a game so far! We have very few of our previous concerns remaining. Our finances are on the up now that we’ve got Champions League football, our team is performing very well, and we’ve made some progress towards securing the futures of our best players for the long term. Welcome back to Milan! Despite a couple of disappointing games to end last season, my first year in the hot seat at the San Siro was a resounding success. The side is arguably in it’s prime years right now, and I’ll talk a little about this as I analyse the squad later. With the incredible defensive unit we’ve got at our disposal, we should be able to comfortably compete for the Serie A title again, and hopefully make a decent run into the Champions League. Today will mostly focus on the last few months of the season, as we see if we can convert our promising season into some silverware during the home stretch. Welcome back to Milan! We’ve gotten off to a great start in our first season in Italy, and somehow, so far we’re unbeaten and potentially in a title fight. But the main focus of today’s quick post is rolling through a decent portion of this season, as I’ve played through fast and don’t want to leave the blog miles behind! Welcome to Milan! After a state of play post last time out, today’s post will largely be about the pre-season changes I’ve made, although I will sneak in a bit of football towards the end, as our Serie A and Europa League campaigns in 2024/25 get underway. A quick thank you to FM Grasshopper and FM Samo for their help with suggestions over on FM Slack for ideas on naming the series, and congratulations to Samo, as “Red and Black” was his idea. I’ve decided against doing a summing up post on my time in Frankfurt, but if anybody wants a stat or two, hit me up on Twitter (@fromelevenone) or my Slack channel (#from_eleven_one) and I’ll sort you out. Not you though Dan. Yes, I’ve found a new job. 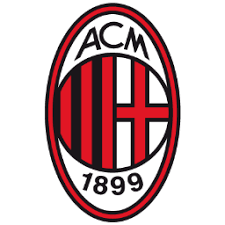 I’ve moved to Italy to become the new manager of AC Milan! I was after a rebuilding job at a big club, preferably outside of Germany and England, and Milan fit the bill fairly well. I did hamstring myself a little bit, wanting to move in the summer and not resign from Frankfurt. I like the option of taking my loyal staff with me! As a result, there weren’t all that many jobs available (until after I moved #managerialmerrygoround).